Champion Colsidex Taits Marks a Spot "Evad"
Click here to view Evad's pedigree and stats on his owner's webpage. 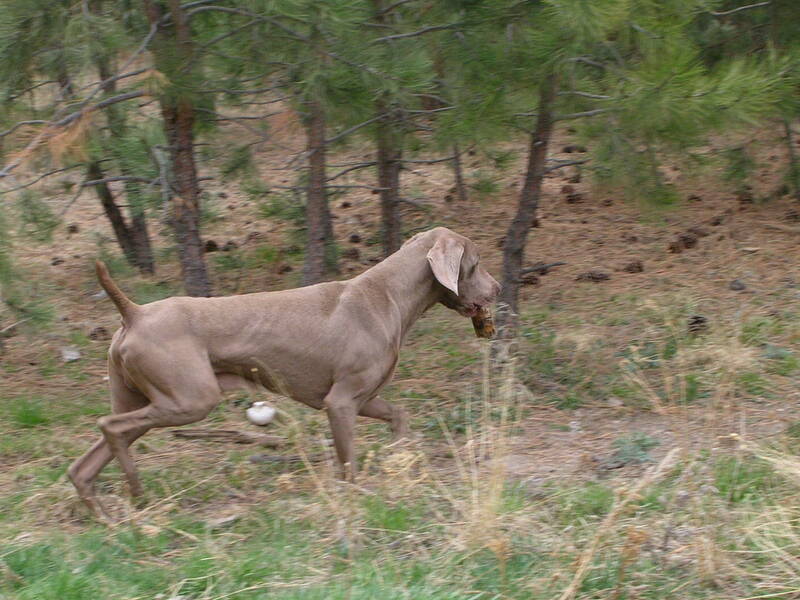 Evad is an exceptional example of the Weimaraner breed. Evad is not only a Champion himself, but his pedigree is 100% titled. 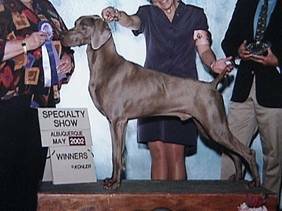 Every dog in his pedigree is a recorded conformation show champion. Evad has produced Champions and offspring that have produced Champions and has earned 20 BROM points for his success.